The coastal city of Lüderitz was founded by the German merchant Adolf Lüderitz in 1883. 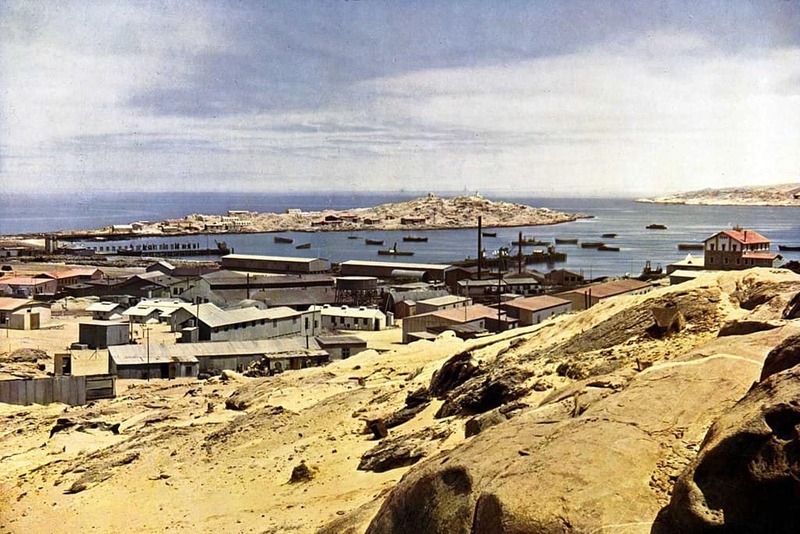 It quickly became one of the richest cities in Africa due to the thick layers of valuable guano on the islands in the Lüderitz bay, the rich fishing grounds, the diamonds found nearby and its role as a trading port. Many of today’s buildings were built during the German colonial time, and some still have German inscriptions such as “Turnhalle” or “Eisengießerei”. If the nice colonial flair of the buildings leads you to refer to German colonialism as “the good old times”, you’re mistaken. Most colonists were deeply racist and regarded the local population as racially inferior, cheap labor. These inacceptable conditions led the Herero tribe to revolt against the Germans in 1904. They coordinated a nationwide attack against German settlers and the “Schutztruppe” and brought the German colony of “Südwestafrika” on the brink of collapse. It is worth noting that the Herero spared nearly all of the German women and children and often safe-guarded them to the next village after killing all men of fighting age. However, the Herero underestimated how fast the Schutztruppe was able to get reinforcements from South Africa and eventually Germany. The Schutztruppe was able to hold most of the strategically important locations. With the help of the reinforcements, they fought back and eventually defeated the Herero. The war should have ended there, but it got even worse. The newly installed General of the Schutztruppe, Lothar von Trotha, who already had a bloody reputation from brutally crushing a revolt in South-East-Africa, issued a warrant that all Herero should be killed or leave the country. He encircled the fleeing Herero – including women, children, and their lifestock – in the desert and occupied all of the waterholes. 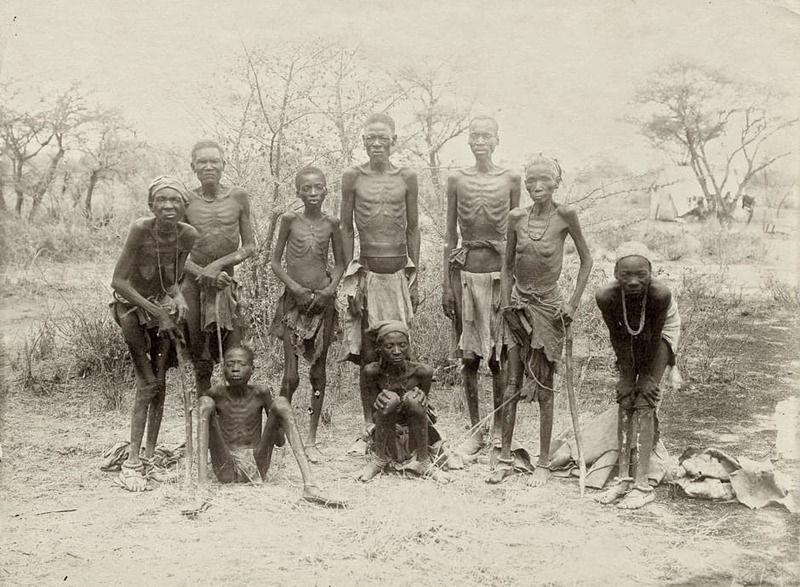 Surviving Herero after fleeing through the desert (1907). When the German emperor eventally removed von Trotha from his position and repealed the killing order, it was already too late. Between 65,000 and 80,000 Herero did not survive the war, and the rest was incarcerated or displaced. The fate of the Herero motivated the Nama to also revolt, this time using a guerilla strategy instead of open conflict, but they were also quickly defeated. Lüderitz Bay and Shark Island Concentration Camp, 1910. Now back to Lüderitz: The surviving Herero and Nama, including women and children, were rounded up in labor camps. One of these camps was located on Shark Island. The conditions in these camps were so bad that nearly half of the inhabitants died. Shark Island Concentration Camp was one of the worst camps. It was grossly overcrowded, and a constant, strong and cold wind, bad hygienic conditions and malnutrition created ideal conditions for diseases such as typhus or scurvy. To make things worse, the German camp officers used the prisoners for medical experiments. Body parts – mostly skeletons or heads – of selected prisoners were shipped to Berlin for racial studies. In order to prepare the shipments, the other prisoners were forced to scrape away the flesh on the dead bodies – often of relatives or friends. The “unused” body parts and the bodies of prisoners who died of other causes were fed to the sharks surrounding the island. It is estimated that about 3,000 Herero and Nama died on Shark Island. Today, shark island hosts tourist accommodation, a deep sea harbor, marine buildings and a NWR campsite. At Shark Island NWR Campsite, the graves of German soldiers and a memorial for Cornelius Frederick, who was one of the Nama leaders who died on Shark Island. In stark contrast to its dark history, the campsite itself is stunningly beautiful. 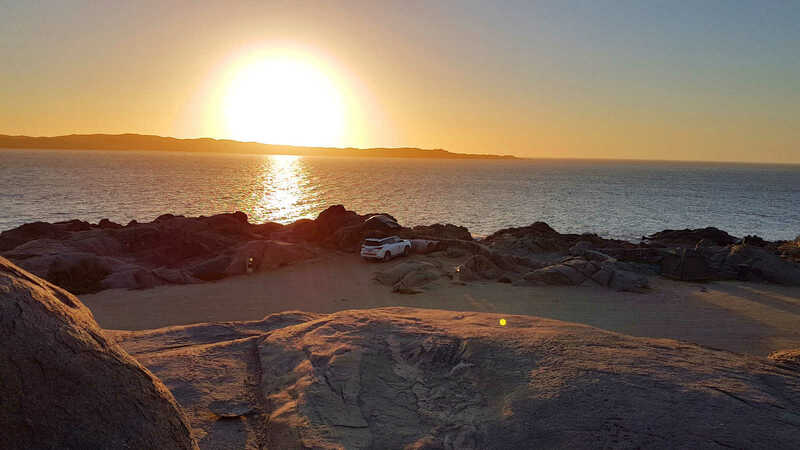 Each of the camp grounds offers a fantastic view over the rugged cliffs and the Lüderitz bay. Most of the sites are rather windy, but some are sheltered by large rocks. Even if you don’t stay on the campsite, the N$10 per person visitor entry fee is a good investment. We didn’t take into account that there might also be a campsite in a town like Lüderitz and booked a “regular” accommodation instead. If you also prefer a bit more comfort, you should check if the Cormorant House is available. 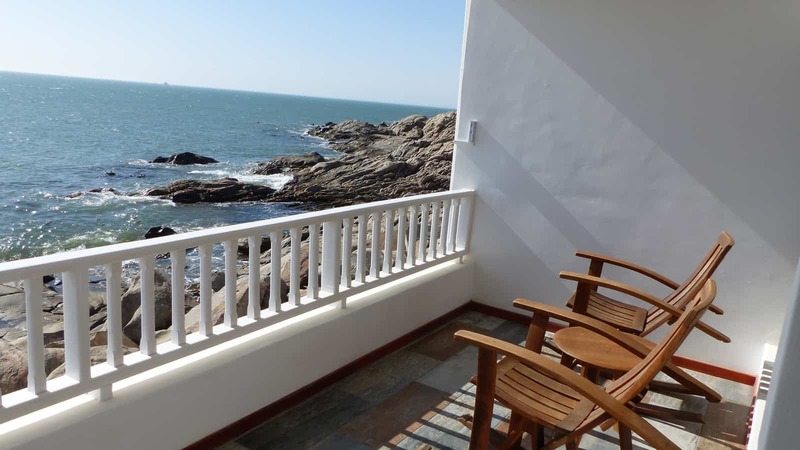 Each of the tastefully decorated apartments has a terrace with a perfect view over the ocean. Wi-fi, a fridge, a kitchen, and electricity on the parking lot for the camping vans’ fridge are also available. From Ai-Ais, there are two possible routes to Lüderitz. The Northern route goes back North to Seeheim and then follows the C4 east to Lüderitz. The Southern route goes South to the Oranje river that marks the border to South Africa, then back North via Rosh Pinah and joins the C4 at Aus. The Northern route is faster, but the Southern route along the Oranje river offers a more beautiful scenery. 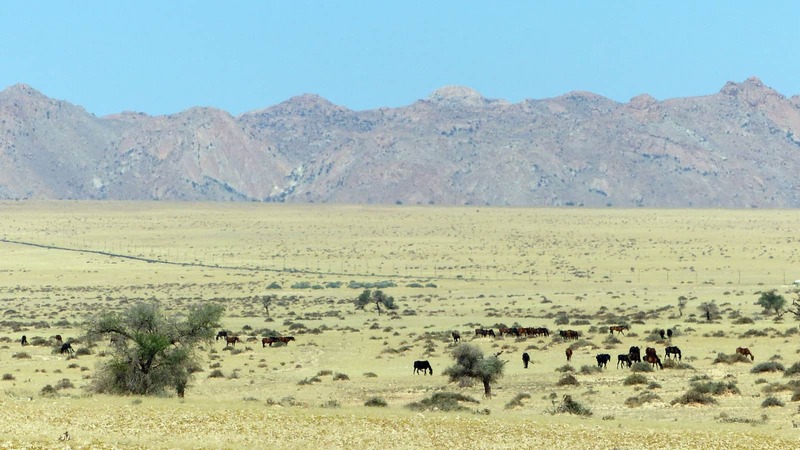 22km East of Aus, you can observe a large herd of wild horses that descend from a couple of horses left behind by the Schutztruppe more than 100 years ago. The herd of wild horses has survived in the desert near Aus for over 100 years. Further along, an abandoned train station provides a perfect photo opportunity. 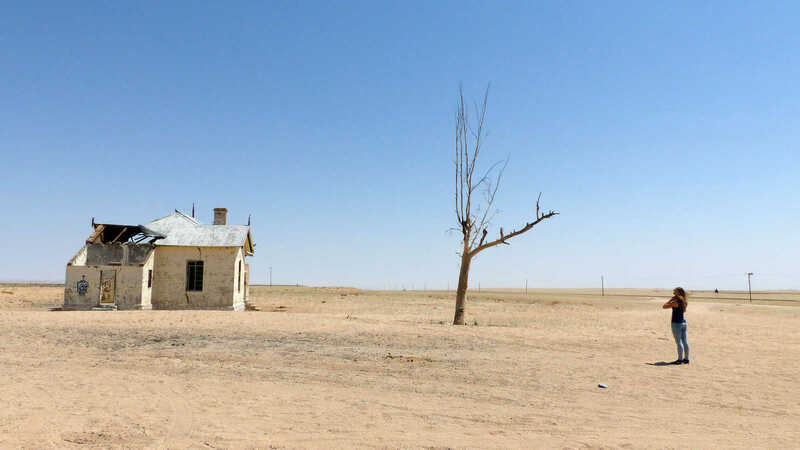 The abandoned train station is located on your left-hand side on the way from Aus to Lüderitz. 20km before Lüderitz, you’ll pass by some majestic sand dunes of the Namib desert, followed by a bizarre rock foundation of old lava flows. On the left hand site, you also see the ghost town of Kolmanskoop, which is absolutely worth a visit. 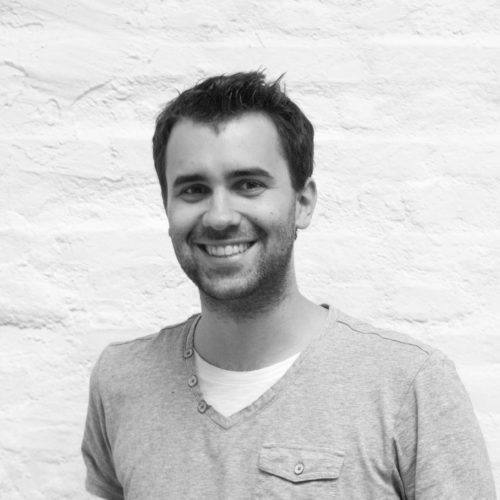 Be advised that Kolmanskoop is only open to visitors until 12:30 PM, so you probably want to visit it on the way back. If you want to learn what else we experienced in Namibia, check out our travel route for the entire trip – including reviews of the most exciting places!